Are you local? Do you act? Have you a desire to learn new skills? 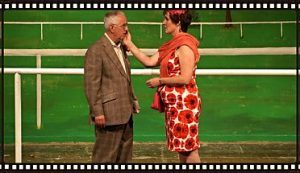 Want to make new friends and share in the enjoyment of staging local amateur theatre productions? We are always grateful to have new members join us in any capacity, both on and off stage. If you would like to get involved in our group please don’t delay and introduce yourself. You won’t get turned away, we’ll almost always be able to find a role for you, depending on what you want to do. If you do wish to join, you can let us know you are coming in advance by dropping us an email or a phone call, but there is no need to do so, feel free to turn up to one of our weekly meetings and make yourself known. We meet every Monday from 8pm ion the main hall of the Culcheth Sports Club. 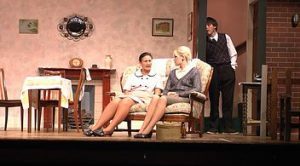 Of course when people think AmDram, they think of actors, but in actual fact a lot of effort goes on behind the scenes to enable us to stage our shows. One would argue that those roles are more important because if we didn’t have anyone running the lights and sound, designing and building the sets, marketing and running front of house, we would be acting in the dark to no audience. Please see our extensive list of roles below, and tell us what you would enjoy doing.. Enjoy electrics? Have an idea about shadow and gels, focusing and rigging? Then you might enjoy lighting one of our productions. We have a modest set up at our venue, ideal for gaining experience. If you know about fabrics, looks and styles and can spot a bargain you would be ideal. Help us make the best of what we have in stock. If you have some making skills that would be a real bonus too. Are Creative, practical or just want to lend a hand? We really need some people who could help with creating looks for our casts, and maybe also help on the night to realise them. If you’re a dab hand, this could be for you. Every set needs a builder: we always need lots of help to saw, screw, nail together, glue, paint, put up, assemble and generally do wonders with our sets and practical props. If you’re good at getting things organised, enjoy running a project and get on well with people, you could take charge of the logistics and planning of a production. If you can respond to phonecalls and emails efficiently and keep a track of bookings for our shows, you could take some of the weight from our existing box office team. Unusually for theatre folk, we’re not technophobic. If you have ideas about how to integrate computers into shows (projection, flash movies, internet collaboration), we’re all ears! We’ve experimented with this and would like to learn more. As you can see, we need a lot of graphic design for our posters and other publicity as well as for this site. If you had some spare hours to give to making a poster, that would be a major contribution. Assembling one of our programmes is an interesting editorial task if you’re looking for experience of pulling together nicely-designed informational material. All of our productions call for props and some call for unusual ones. If you’ve got time to hunt out some of the obscure items we sometimes need, we’d love to hear from you. If you’re good at writing copy you might be able to help with our press releases, or creating text for fliers or the website. Or maybe you could help distribute our posters and flyers on the street or through the post. Our site now has quite a lot of pages and is being updated more regularly than before. If you fancy a web maintenance/development project, maybe you’d like to help run our website – HTML skills very useful and other web skills even more so!